Today, the scientific community is aghast at the prospect of gene editing to create “designer” humans. Gene editing may be of greater consequence than unleashing the energy of the atom. CRISPR is an acronym for Clustered Regularly Interspaced Short Palindromic Repeats. This is the immune system that bacteria developed to protect themselves from infections by bacteriophages—the most abundant life form on the planet. Bacteriophages were discovered in Paris by Felix d’Hérelle at the Pasteur Institute in 1917. He was studying a subset of patients spontaneously recovering from dysentery. D’Hérelle proposed that an antimicrobe smaller than any known life form had killed the bacteria in infected patients. He demonstrated conclusively the existence of this new life form and named them bacteriophages: viruses that attack bacteria. The bacteriophage has been studied intensely: its beauty was revealed with the electron microscope and its genome was the first life form sequenced. In 2007, Rodolphe Barrangou and Philippe Horvath of the food production company Danisco collaborated with Sylvain Moineau of Laval University to solve a long-standing problem in yogurt production. They asked: Why were bacteria that were essential for the production of yogurt and cheese susceptible to bacteriophage attack, and how could this be prevented? Barrangou, Horvath, and Moineau made the astonishing discovery that bacteria actually had an immune system. CRISPR: Acquired Bacterial Immune Systems. After an initial bacteriophage attack, a small number of surviving bacteria would recognize the DNA of the newly attacking bacteriophages. The surviving bacteria would then mount an immune response leading to the death of the bacteriophages. 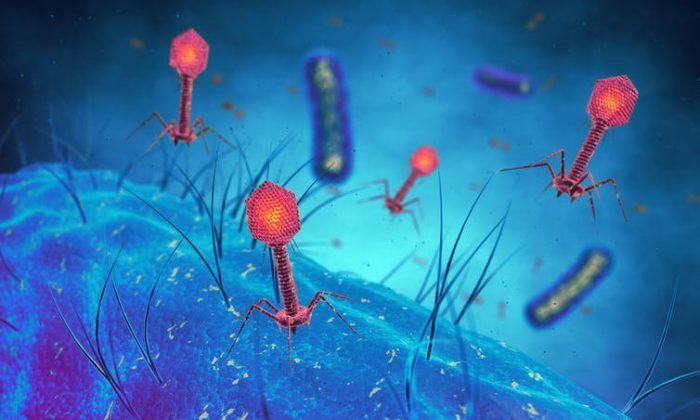 The bacteria that survived a phage attack would embed a fragment of bacteriophage DNA within their bacterial genome to serve as a “memory” of the infection. Barrangou, Horvat, and Moineau then discovered how the invading bacteriophages were eliminated. Upon recognition of the newly invading bacteriophage, the bacteria would target and sever the DNA of the invading bacteriophage. Fond de recherche de Québec: CRISPR-Cas9 : L’origine de la découverte | Sylvain Moineau. Biologists Jennifer Doudna and Emmanuelle Charpentier discovered further that “guides” had evolved in the bacterial immune system. Any bacteriophage whose DNA corresponded to the acquired memory fragment from a prior infection would be recognized and severed by a “guided” elimination machinery. Together, the bacterial immune system encompassing memory fragments of the bacteriophage DNA and the bacterial response machinery are known as the CRISPR-Cas9 system. Commercial exploitation of the discovery followed. Doudna, Charpentier and others recognized that this new biological system could be exploited to edit genes in any life form. Bozeman Science: What is CRISPR? The CRISPR-Cas9 system is not the first gene-editing system to be discovered. The late biochemist Michael Smith, while at the University of British Columbia, was awarded a Nobel Prize in 1993 for the discovery of a chemical means of gene editing with applications relevant to cancer and other diseases. UBC Science: The Legacy of Dr. Michael Smith. D’Hérelle observed that the same bacteriophage isolated from patients recovering from dysentery could be used to protect rabbits from an otherwise fatal infection. Coming before the discovery of antibiotics, d’Hérelle’s discovery inspired Sinclair Lewis to feature bacteriophage therapy of humans in his Pulitzer Prize-winning novel “Arrowsmith”. One of the largest collections of bacteriophages globally is at Laval University. Sylvain Moineau is the curator, and the collection is named after Felix d’Hérelle. The hope now is that bacteriophage therapy may be considered a potential solution to antibiotic resistance. However, any expectations of phage therapy are dwarfed by the current exploitation of the commercial benefits of the CRISPR-Cas9 system. Today, the consequences of opening a Pandora’s Box are upon us. The application of the CRISPR-Cas9 system to generate designer humans through “germ-line” gene editing of harvested human eggs would create permanent changes that continue through successive generations, and the fears over these actions may be comparable to the consequences of nuclear warfare and climate change. But there are other potential applications of “non-germline” CRISPR-Cas9, like the gene editing of disease. This has recently been successfully accomplished for muscular dystrophy in dogs. Akin to the myth of Pandora’s Box, the pessimism about “germ-line” gene editing may be offset by the hope for future benefit to humankind. John Bergeron gratefully acknowledges Kathleen Dickson as co-author. John Bergeron is an emeritus Robert Reford professor and professor of medicine at McGill University in Canada. This article was first published on The Conversation.